Our new Loveworks Community Garden project is aimed at increasing health and well-being through socialising and enjoying the outdoors. Want to join us in our new community garden project? 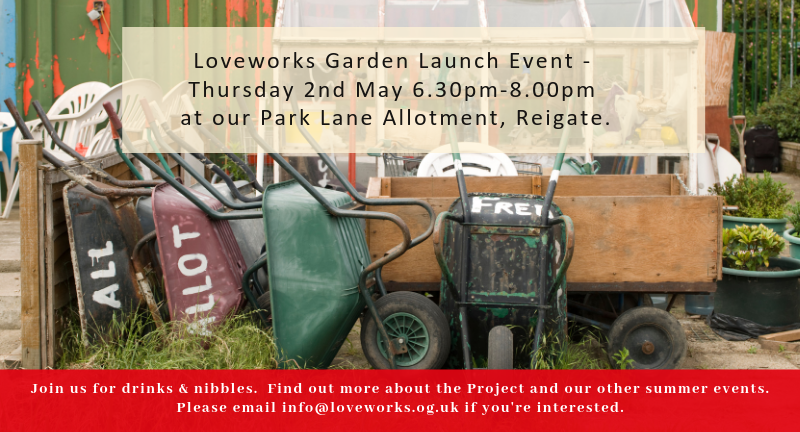 Loveworks are delighted to have taken tenancy of a large allotment plot in Reigate and we’d like share this with anyone interested in growing food, flowers and friendship.